The JSE closed firmer on Tuesday, mainly on the back of advances recorded in rand hedges and miners. British American Tobacco [JSE:BTI] advanced in London and Johannesburg as analysts published a higher price target compared to where it has been trading in recent sessions. On the JSE, the stock closed the day 5.95% higher at R449.42. Absa Group [JSE:ABG] was also buoyant on the day as the bank announced that CEO Maria Ramos, would be stepping down in February. The share closed the day 6.08% firmer at R186.28. The volatility in Blue Label Telecoms [JSE:BLU] continued as the stock rallied 3.79% to close at R4.66. 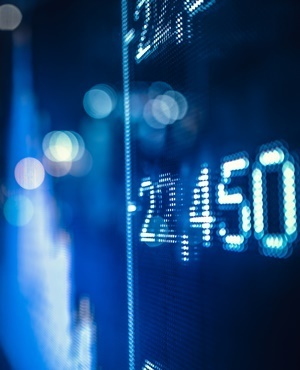 Reinet [JSE:RNI] also recorded gains on the day as it climbed 4.21% to close at R201.41, while Sappi [JSE:SAP] managed to add 4.14% to close at R78.70. Listed property stock Resilient REIT [JSE:RES] firmed by 4.56% to close at R64.00, and Intu Properties [JSE:ITU] closed at R20.93 after adding 4.13%. Harmony Gold [JSE:HAR] rose 3.4% to R26.44, Glencore [JSE:GLN] gained 2.68% to R53.65, and South32 [JSE:S32] closed 2.92% firmer at R33.47. Of the day's losers, EOH Holdings [JSE:EOH] came under significant pressure as it lost 14.75% to close at R26.65. Kumba Iron Ore [JSE:KIO] traded weaker due to iron ore supply concerns on the back of the disaster at a iron ore mine owned by Vale in Brazil. The stock closed 1.46% weaker at R304.50. Alexander Forbes [JSE:AFH] was also softer as it lost 2.95% to close at R4.60, while Mediclinic [JSE:MEI] weakened by 2.37% to close at R54.45. Exxaro Resources [JSE:EXX] bucked the trend in other miners as it lost 1.31% to end the day at R147.94. The JSE All-Share index closed the day up 1.15% while the JSE Top-40 index gained 1.28%. All the major indices closed in the green with the Financials index advancing the most as it gained 1.47%. The Industrials and Resources indices gained 1.08% and 1.13% respectively. The rand was flat earlier on, but it managed to gain momentum as the session progressed. At 17.00 CAT, the rand was trading 0.38% firmer at R13.61/$. Brent crude rallied on the back of news that Saudi Arabia pledged to increase crude oil output cuts more than the initial estimates as they try to revive oil prices. The commodity was trading 2.4% firmer at $61.37/barrel just after the JSE close. At 17.00 CAT, palladium was 0.56% firmer at $1 341.19/Oz, gold had gained 0.32% to trade at $1 307.59/Oz, and platinum was up 0.25% at $814.10/Oz. Bitcoin was down 0.43% at $3 475.90/coin, while Ethereum had managed to gain 1.1% to trade at $106.89/coin.